JERUSALEM: With Israel’s election only two weeks away, Benjamin Netanyahu will get to showcase his close ties with Donald Trump in a U.S. visit days after the president backed Israel’s hold over the occupied Golan Heights. The prime minister’s White House meeting with Trump on Monday could be overshadowed in the United States by the expected release of details from a confidential report into an investigation into possible collusion between the president and Russia in his 2016 U.S. election campaign. Trump helped to set the scene for his ally on Thursday, announcing that the time had come to recognize Israeli sovereignty over the Golan Heights, strategic territory that Israel seized from Syria in the 1967 Middle East war and annexed in 1981 in a move that did not win international support. On Sunday Israel’s acting foreign minister, Israel Katz, said on Twitter that Trump would sign a decree codifying such recognition, with Netanyahu present, on Monday. The president’s move on the Golan was widely seen in Israel – where Trump is a popular figure – as an attempt to provide an election boost to right-wing Netanyahu, who had pressed for yet another departure from long-standing U.S. policy in one of the world’s most volatile regions. 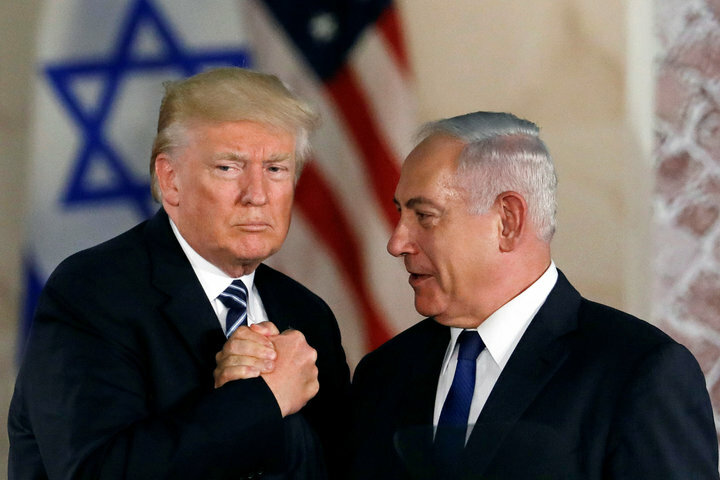 For Trump, Netanyahu’s embrace resonates with U.S. evangelists – a core constituency for the Republican leader, who is up for re-election in 2020. Before arriving in Washington on Sunday, Netanyahu said he would speak to Trump “about his historic declaration” on the Golan and “continued pressure on Iran” after the U.S. withdrawal from the 2015 nuclear deal between world powers and Tehran that had relaxed sanctions on Israel’s arch-foe. “(Trump’s statement about the Golan) will really help Netanyahu,” said Billha Ketter, 67, an event planner, speaking to Reuters in Rosh Pina, which abuts the Golan Heights. She accused the president of intervening in Israel’s election. Opinion polls gauging whether Trump’s move is having an effect are expected later in the week.